I’m Doodling! Yay! As if I didn’t love Stephen enough already, he released Clue One at least 12 hours early! Thank you Stephen! Ugh! 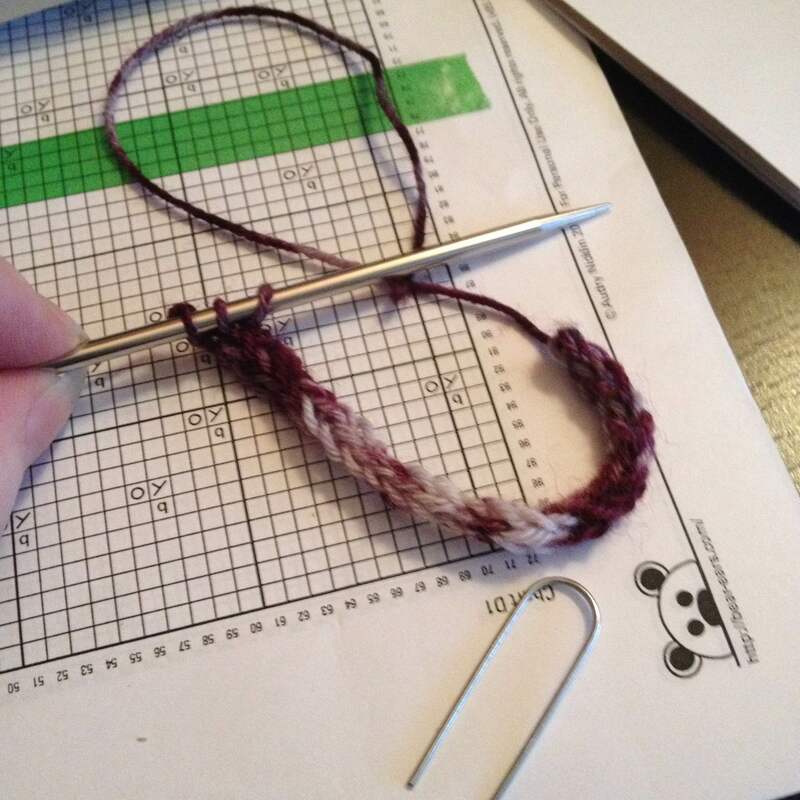 But the i-cord edge is the perfect little hiding pocket for an unused strand up the edge of the shawl! So no more, I refuse to Break Color B again. 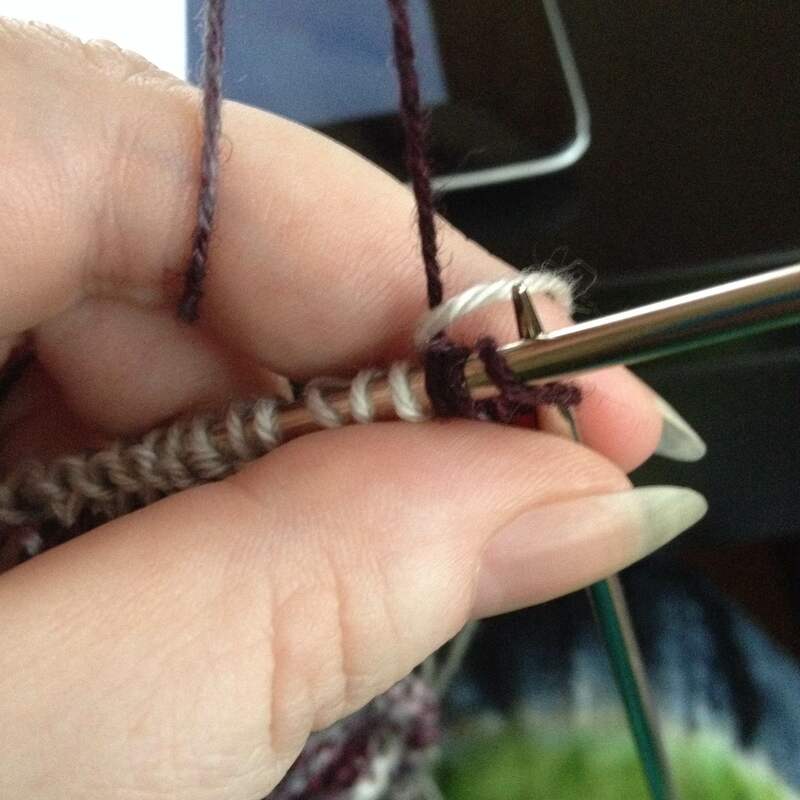 Here’s a couple action shots, just in case you also curse like a sailor while weaving in ends. 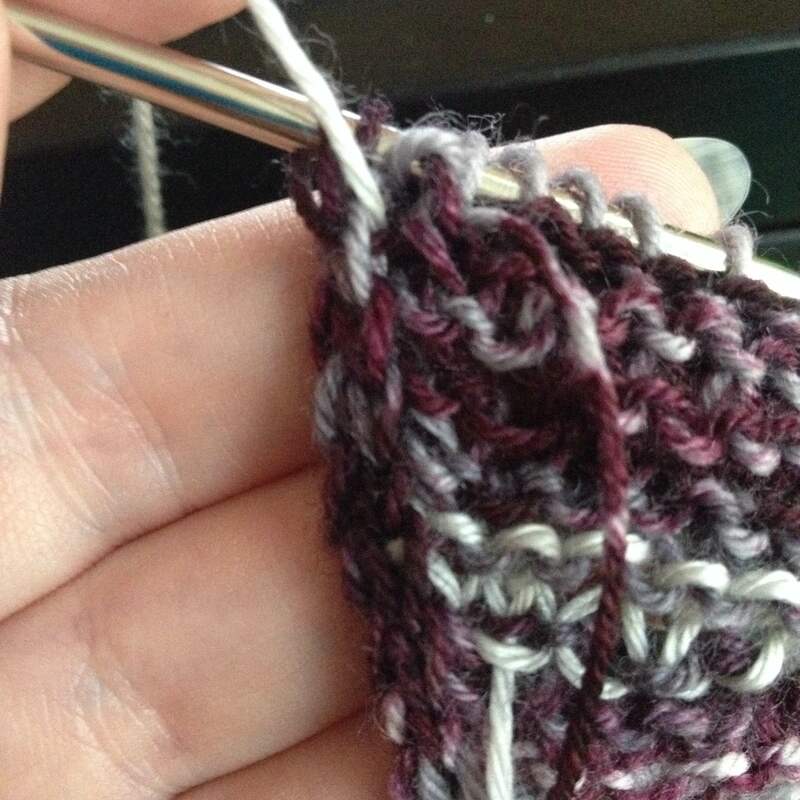 This is the first time you work the Color A i-cord, the initial insertion of Color B into the center of the i-cord. I’ve brought Color B (the light) over Color A (the dark), effectively doing a wrap to lock my tail in place. 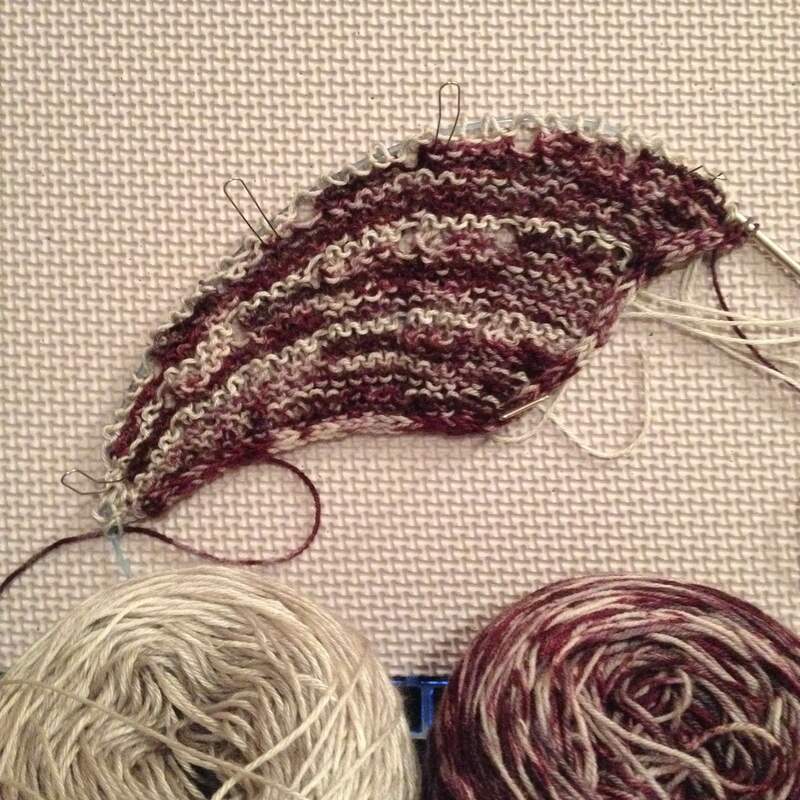 Here’s the next i-cord row on the same edge. At this point, I don’t wrap Color A (dark) and Color B (light). Color B comes straight up, Color A simply passes behind it and goes along it’s merry way. Here’s the result, a neat edge with no ends to weave and no sign of an unsightly carry up the edge! 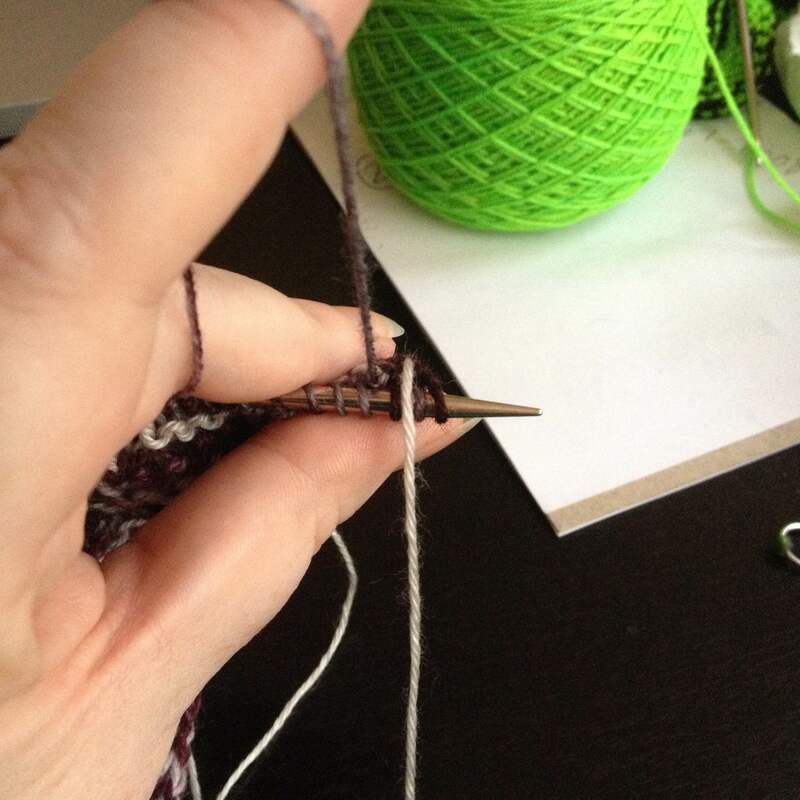 Of course, this is really just trading one hassle for another…having Color B attached the whole time means yarn management becomes a thing, to avoid tangles. Totally worth it to avoid all those silly ends though! 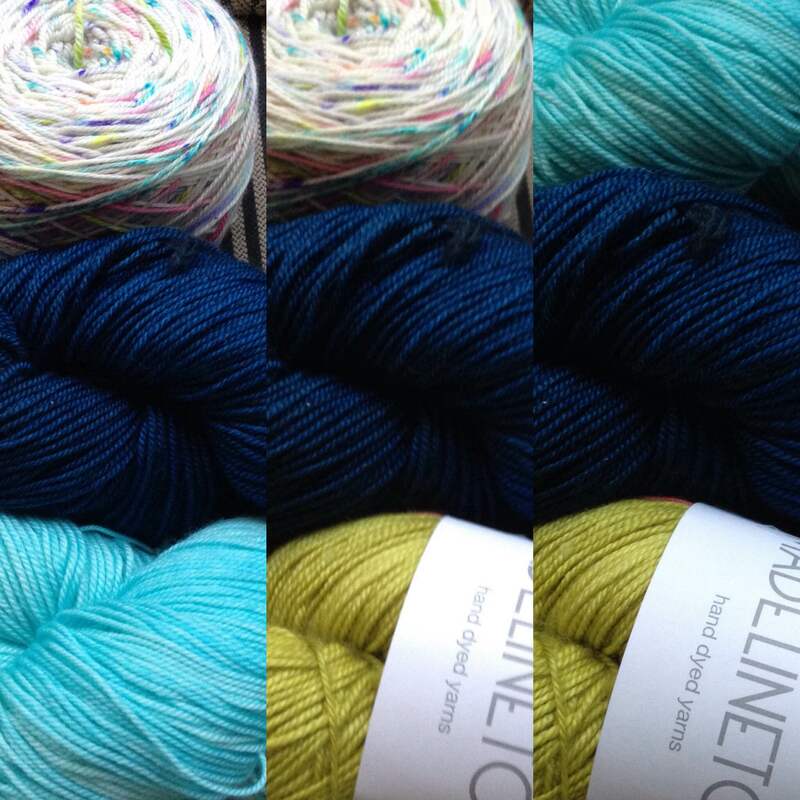 So much yarn…so little time! At least it’s finally the weekend! At first I was thinking I’d switch my colors but now I’m pretty sure I’ll just start a second one…LOL! One more WIP never killed anyone! 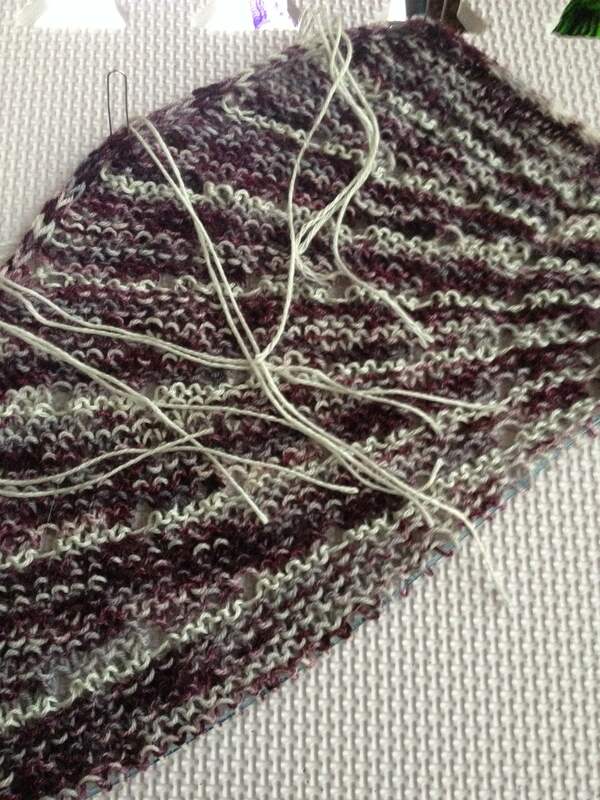 Sometimes the indecision and the constant stash diving is the best part…LOL! 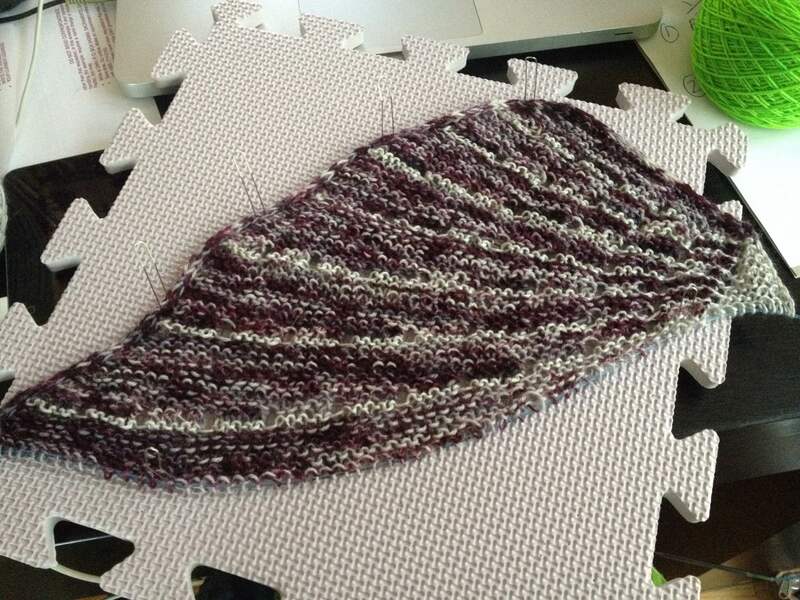 So far, the knitting has been good too! I love seeing all the different variations! There are very few that I dislike so far! Right now, the third set is my top choice! I kind of like that it’s speckle free!